WHAT HAPPENED: Trevor Cooney’s four first-half 3-pointers was part of a hot shooting start for SU as the Orange took a 35-22 lead into break. The Orange carried a double-digit lead for most of the second half (FSU got to within nine twice), though SU was never able to extend the lead beyond 17 points. Though the Orange shot 38 percent overall, they were also a combined 10-17 mostly thanks to Cooney’s night. ANALYSIS: The good news first. The win leaves Syracuse and Virginia as the only undefeated teams in ACC play after upsets of Louisville and Duke over the weekend. But the bad news was about Chris McCullough, whose knee seemed to buckle after trying to corral a fast break pass in traffic. McCullough had to be helped off the court and never returned to the game. While McCullough has been in a prolonged funk, Syracuse is already thin in their back line with DaJuan Coleman projected to redshirt. Chinonso Obokoh’s first minutes since Dec. 22 against Colgate were a complete struggle, and only demonstrated the importance for McCullough, who also moonlights as SU’s backup center. He will be reevaluated later in the week. HERO: Cooney led SU with 28 points on seven made 3-pointers, which was his best performance since he dropped 33 points on nine 3-pointers against Notre Dame on Feb. 3. 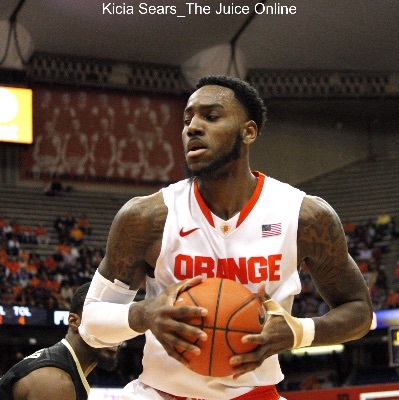 Rakeem Christmas chipped in 14 points and 11 rebounds, though he missed several shots he normally makes, finishing 5-13 from the field. 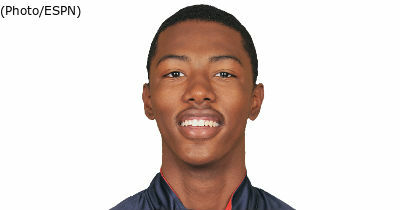 ZERO: Cooney was as good from downtown as Florida State as a team was bad. The Seminoles were an ice cold 2-16 from downtown. Devon Bookert was 2-11 from the field and 0-5 from downtown, and insult to injury: He was tasked with trying to guard Cooney. 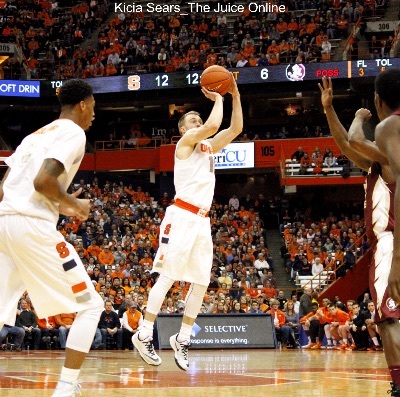 WHAT’S NEXT: Syracuse will host Wake Forest on Tuesday, Jan. 13 at 8 p.m. TV: ACC Network.